We really enjoyed our stay here. Everything was as you would expect, good internet, good breakfast and comfortable rooms, though typical harder Indian beds. Only negative the restaurant prices that ended up costing more than the accommodation, but as it was our last night we did enjoy it. I had booked Uppal for a short stay before having a flight but absolutely a place worth staying for a longer time. Very convenient and close to the Airport. 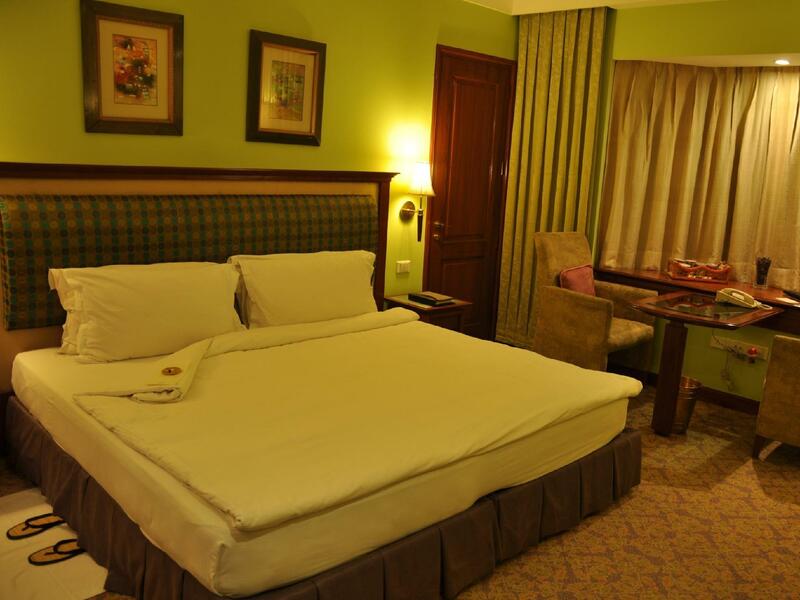 The room was nice and the surroundings very pleasant. Could have enjoyed it much longer. The lush green garden, swimming pool and the food are the pros. Room amenities, toiletries and bathroom facilities could be much better. Lobby also needs to be better in terms of space and sitting facilities. Nice peaceful stay with family. I booked this for an overnight stay while changing flights and it did not disappoint. It was 15 minutes' taxi drive away, comfortable, clean, served a decent breakfast and there was even time to make use of the excellent pool. Not sure I'd want to stay longer than a few nights as it's proximity to the airport means aircraft noise. Location to airport,Breakfast was reasonable, internet connection was fast. We had a short one night stay. It was reasonable for the price. We had come from a luxury 5 star in Gurgaon and this did not match but was 1/4 the price so there has to be some give and take! If you want to be close to the airport. This is in a good location for that. We had a delightful overnight stay. 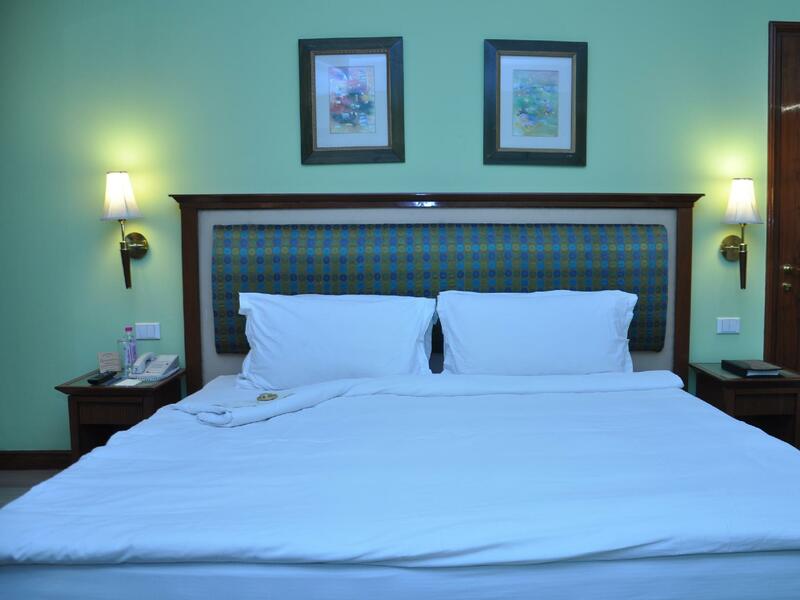 The hotel is very comfortable, staff are courteous and efficient, and the restaurant is good. The only downside is the charge of Rs750 (about £8 or $13) for a car to the airport. This was excessive for a trip which took little more than 5 minutes, and as a four star airport hotel, the service should be complementary. Stayed only 1 night prior to early morning flight. Room was ok, no complains, buffet dinner was not as good as price we had t pay for it. Buffet breakfast was good. Above lounge (1st floor) was nice to chill out at night. Internet is at extra charge, which in 21st century, I find unacceptable. Airport Transfer was fast and efficient, but overpriced (750 INR). The room smelled like someone recently smoked in there and when we requested a new room we were moved yo a room that wasn't ready and nothing was set up. The staff was not friendly and not very helpful. I had a super early check-in (at 2 am in the morning), and was given discounted one-night rate (it is the same with agoda's deal rate). Overall, it was pleasant, but after checking out, there was miscommunication with a taxi that was supposed to pick me up. The driver called to the lobby, but the reception did not even notice that I am waiting in the lobby, despite the fact that I have told them that I am waiting for my taxi. I guess this only happened to me, but this resulted me waiting for 2 hours in the lobby, not knowing that somebody has been trying to reach me through the reception desk. Room felt damp. Bathroom taps were detached from sink. Toilet flush kept jamming. No courtesy shuttle to travel 4km to airport, they charge 8 pounds for a hotel taxi to airport, booked 12 hours in advance and driver failed to get from hotel Car park for pick up on time. This hotel plays the game of looking inexpensive then charges inflated prices (for India) for all extras. Hotel staff were responsive in changing musty smelling feather bedding for synthetic, and swapped malfunctioning TV control when advised. This is a nice place. The grounds are beautiful. Great effort is made by the staff to be helpful and to serve people. But opening doors, transporting luggage to one's room, arranging for taxis do not make up for failing to have hot water in the room. The first night, I wanted to take a shower. The hot water was only lukewarm after running it for too long if this is indeed an Eco hotel. However it was late and I didn't want to try to get it fixed then because I was tired. The next morning I called the desk. Someone came quickly, turned on the faucet and said, "The water is hot." Like the night before, it was not close to hot. I don't think it was 25 deg. C. He called his boss who also thought it was hot. Then a plumber was called who was of the same opinion. He said it was 60 deg. C., but ran the water on all the way for probably 10 minutes. It did not get hot, nor any warmer. They took us to a new room, which seemed to have warmer water. So we moved there. Unfortunately, it turned out to have only lukewarm water the next time we wanted to bathe. Again, they came and declared the water to be hot. It is my belief that either their hot water heater (boiler) is failing or the thermostat on it has failed. But although they listened to our complaint, it was as though they really didn't believe us. A good hotel, would have not charged us for either night's lodging without hot water, but apparently customer service is not understood so broadly. Instead you have 5 people trying to open doors and help you with luggage when you really don't need their help. In my view, customer service is foremost about listening to your customer. For a 4/5 star hotel, the restaurant food was fair, based on our sample. I had lamb one night, which I thought was not well trimmed and a bit tough. My wife had bacon for breakfast, which was under-cooked and not so good. It was an average experience. Perhaps for survival ds hotel is taking lots of cost cutting measures like old fashioned uncomfortable cotton pillows n metresses which turned stinky after rain...agoda claim to provide upgraded room wid balcony jst bt balcony ws nt clean enough, I really repented for ds deal,in room tea ws charged separately, limited toiletries, very poor quality n uncomfortable bathroom slippers, breakfast ws complementary bt it ws a secret till d tym of check out n after billing only front desk told me "oh we didn't inform u at d tym of arrival it's our mistake bt as u hv called it in room it will be charged separately"....not actually happy wid d services compared d price dey charge fr dem.